In 1972, Porsche launched the 917/20, a car designed for the Can-Am Challenge Cup, North America’s no-holds-barred series for prototype racers. In the hands of George Follmer, the car dominated that year’s championship, and in doing so helped to irrevocably change the face of the motorsport landscape during the Seventies and Eighties. How? The 917/20 was Porsche’s fi rst turbocharged racer, utilising two Kühnle, Kopp & Kausch turbos to produce a brutal 850hp from its 5.0-litre flat 12 engine. A year later, Porsche upped their game even further with the Porsche 917/30, a 5.4-litre evolution of the previous season’s machine that could turn out around 1,500hp in qualifying trim. Once again, the twin turbocharged car was the class of the Can- Am field, comfortably propelling Mark Donohue to that year’s title. The 917/30 was so effective that it was almost single-handedly responsible for the decline of the series (which took a two-year hiatus after the 1974 season). Thanks to the dominant fashion of the 917/30’s success, turbocharging had well and truly proved its worth to Zuffenhausen’s board, who immediately set about applying the lessons learnt on the track to furthering the Porsche 911 on the road. First to arrive was a 2.7-litre, narrow-bodied test mule gifted to Louise Pïech in 1973 (a car featured in Total 911 issue 112) before the 930 was first unveiled at that year’s IAA in Frankfurt. To help the development of the new 911 Turbo ahead of its launch for the 1975 model year though, Porsche wanted to prove the abilities of a turbocharged 911 in competition. 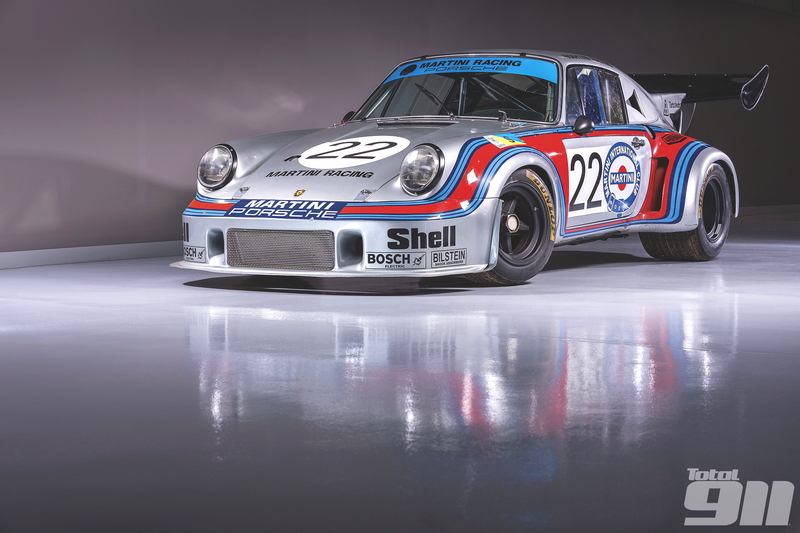 To do so, they created this: the Porsche 911 Carrera RSR Turbo 2.1. Designed to the FIA’s Group 5 rules, the car would have to race against bespoke sports prototypes from the likes of Matra and Ferrari. This wasn’t unfamiliar territory for Porsche though. The year before, the Martini-liveried factory 2.8 RSRs were extensively modified with a wider rear track, huge ‘Mary Stuart’ ducktail wings, centrelock wheels and 3.0-litre engines, forcing them to race among the prototype ranks for the majority of the 1973 season. To read our full history of the Porsche 911 Carrera RSR Turbo 2.1, pick up Total 911 issue 128 in store now. Alternatively, order your copy online for home delivery or download it straight to your digital device.